Doug Stephens is one of the world’s foremost retail industry futurists. His intellectual work and thinking have influenced many of the world’s best-known retailers, agencies and brands including Walmart, Google, Home Depot, Disney, BMW, Citibank, and Intel. 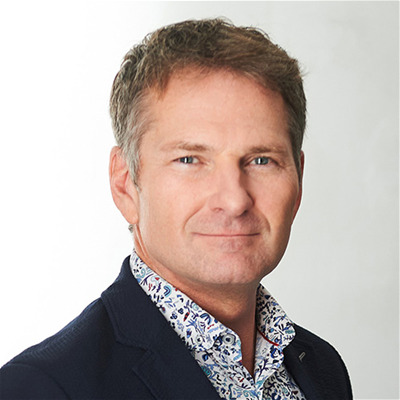 Doug is also listed as one of retail’s top global influencers by Vend.com.Prior to founding Retail Prophet, Doug spent over 20 years in the retail industry, holding senior international roles including the leadership of one of New York City’s most historic retail chains. Doug is the author of two groundbreaking books - The Retail Revival: Re-Imagining Business for the New Age of Consumerism (2013) and Reengineering Retail: The Future of Selling in a PostDigital World (2017) Doug is also the nationally syndicated retail columnist for CBC Radio and sits on the advisory boards of the Dx3 Digital Conference and the David Sobey Centre for Innovation in Retail & Services at St. Mary’s University.His unique perspectives on retailing, business and consumer behavior have been featured in many of the world’s leading publications and media outlets including The New York Times, The BBC, Bloomberg Business News, TechCrunch, The Financial Times, The Wall Street Journal and Fast Company.Doug speaks regularly to major brands and organizations across North and South America, Europe, Asia, The Middle East and Australia.